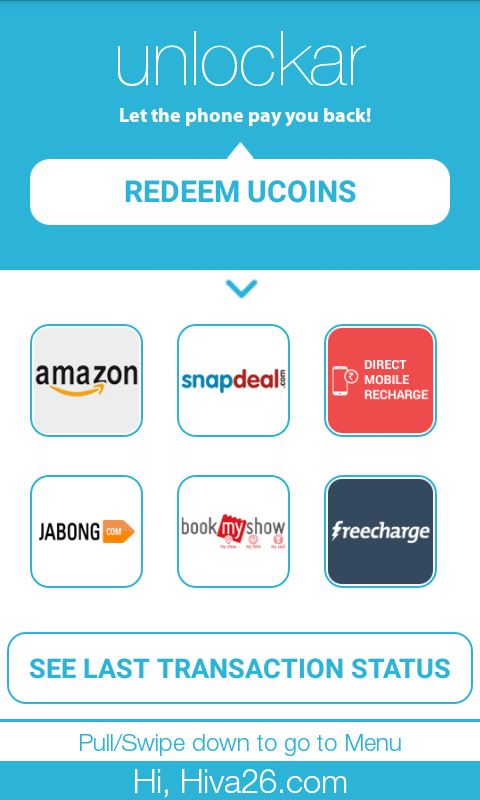 Points Earned through Referrals can be used to – Recharge / Buy Bookmyshow EGV / Amazon EGV / FreeCharge Freefund / Flipkart EGv. 2. Once Installed Open the app and Sign up through your Email or Facebook account also enter your Mobile Number. 3. Now wait for the Verification Process to be completed. *If you avoid Referral code you will not be eligible to get Rs.5 free and the 1GB 3G Data offer too. 5. 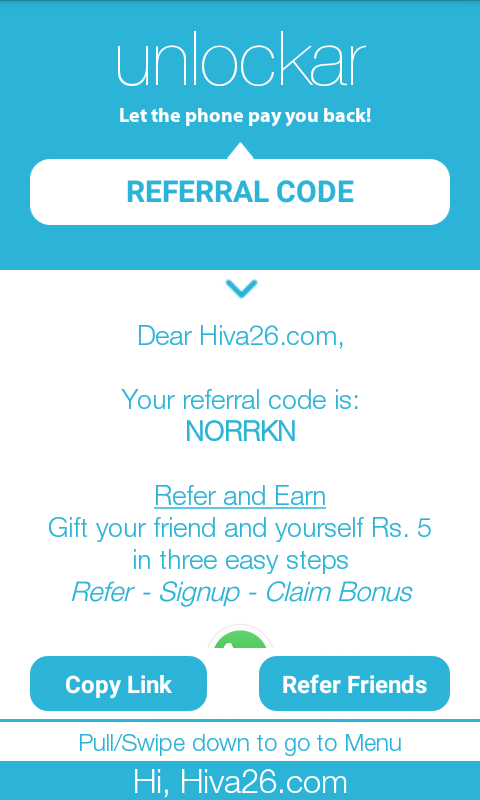 Now you are all set to refer your friends.Simply refer your friends . 6. Open Menu > Socialize > Invite Friends. You can see your referred users here Menu > Your Referrals > Your Invites. uCoins are digital currency system of Unlockar app. 500 uCoins is equivalent to Rs.5 . That means you will get 500 uCoins (Rs.5) for Sign Up and to refer friends. Per Friend you will be paid 500 uCoins. Open Unlockar App and Use Refer and Earn option Reach out to your friends via various apps available on your phone. If 20 friends Sign Up and verify using your link/referral code you get 1GB 3G Data. Once you have referred 20 of your friends under the offer period. > You need to send a mail from your Registered Email account and Include your Registered Mobile Number to get Recharged. Sharing is Caring | Keep Visiting ! !